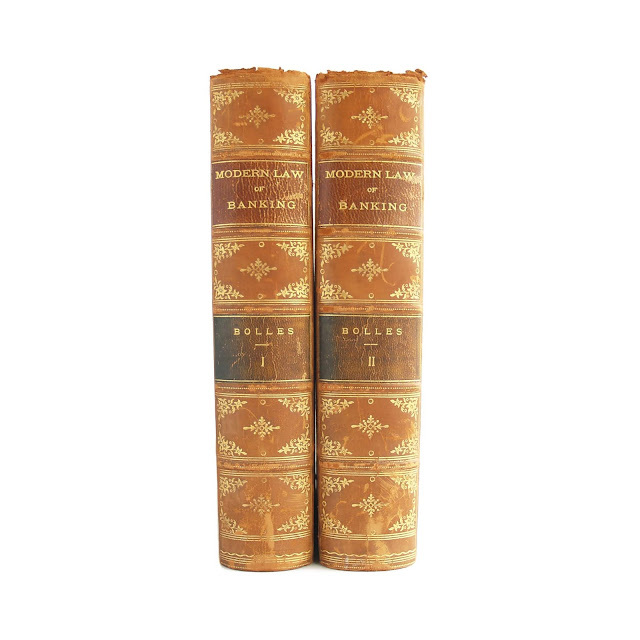 Handsome two volume set on the history of modern banking. 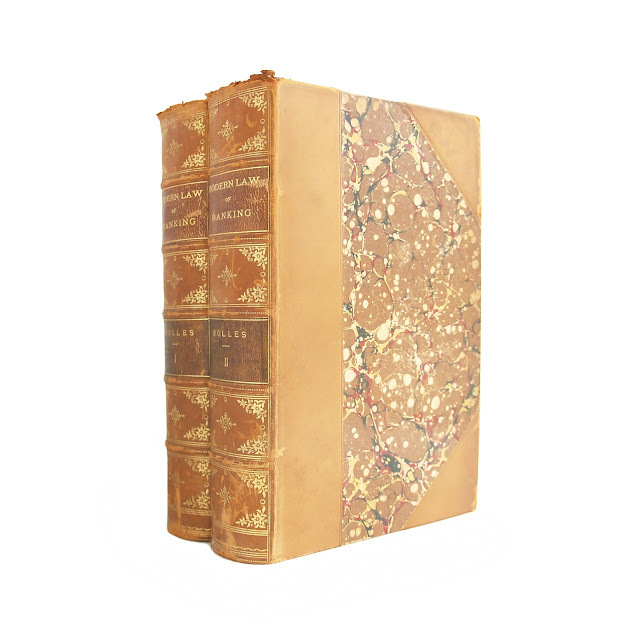 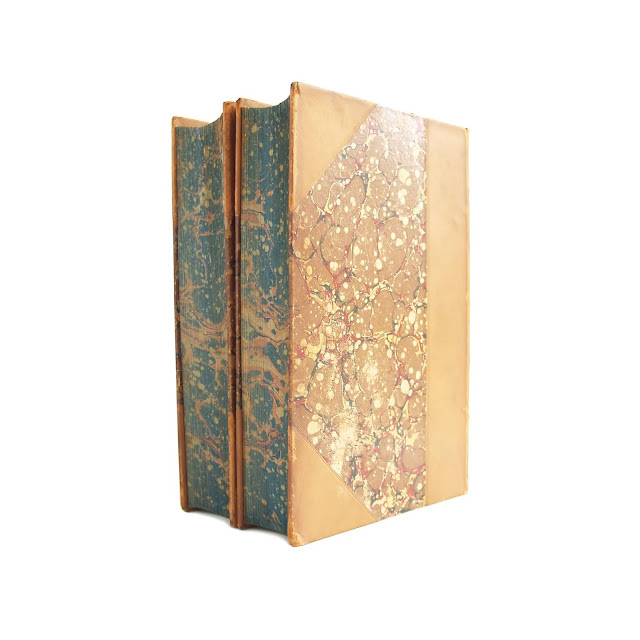 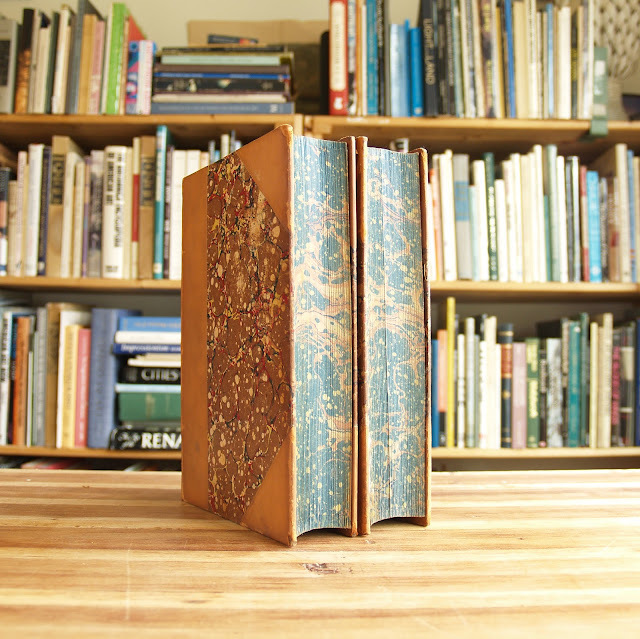 Three-quarter leather binding with marbled foredges and endpapers. 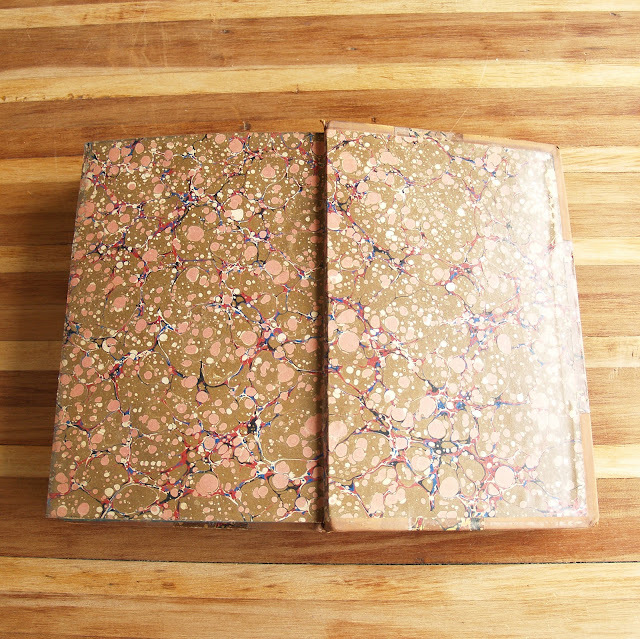 Pages, textblock are clean and crisp. 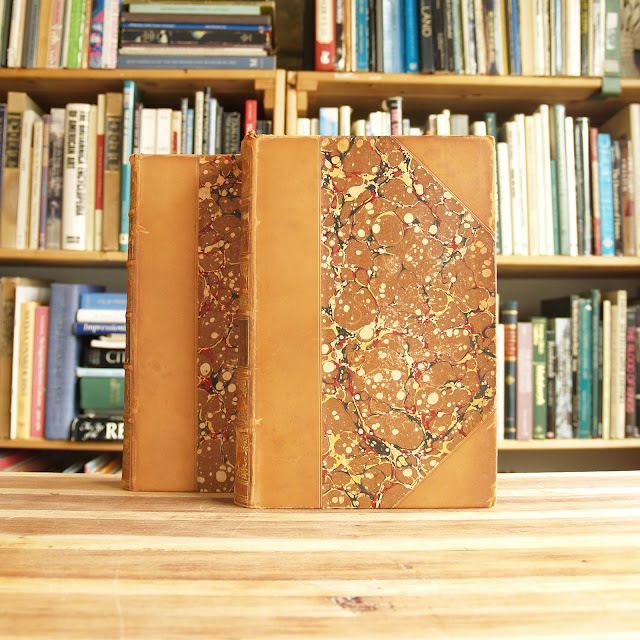 Leather covers show some edgewear, heaviest wear at top and bottom of spines. 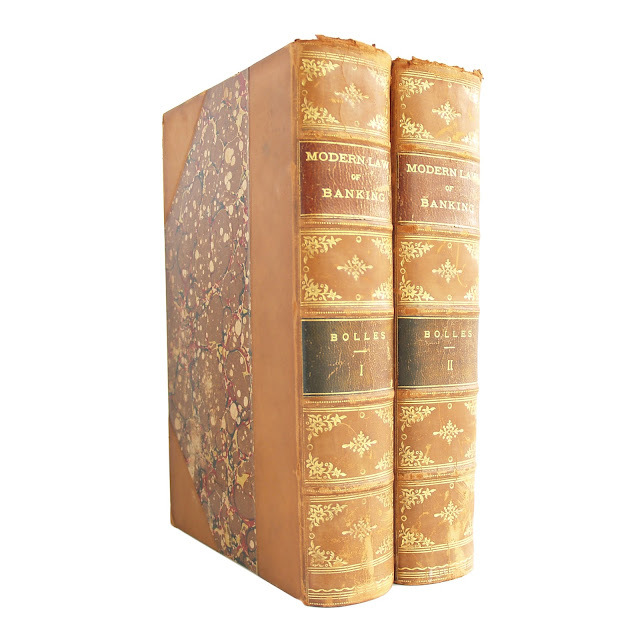 Each volume 6.5"x9" with 1124 indexed total pages between the two volumes.